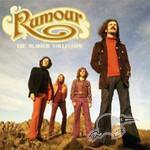 New Zealand’s most successful band of the early 1970’s was ‘The Rumour’. Join host Nick Black as he talks to Gerard & Shade Smith, two key members of ‘The Rumour’ as they discuss their successful music careers right up to the present day, including the release of their recent CD retrospective titled ‘The Rumour Collection’ on this Purple Haze Archive Podcast. great program.Very enjoyable to hear these memorable songs from Shade Smith.Love to hear more. Loved the program, great band!